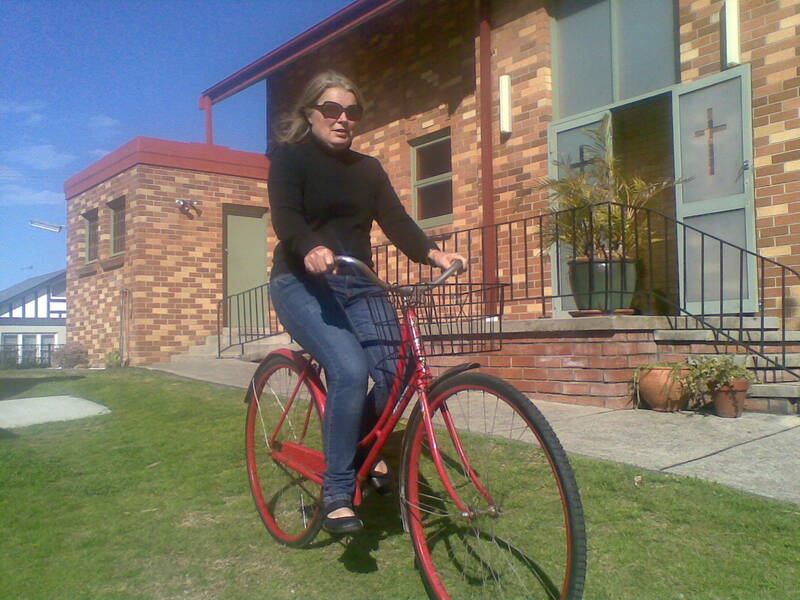 My childhood bike is now roadworthy, it is a truly vintage bike, probably over 50 years old. It has a certain amount of rust and dents and replaced parts on it, which I think gives it an authentic feel. I was very interested to see how it would feel to ride, I was worried about the lack of gears, for instance, and how riding up hills would feel. However, it is surprisingly easy to ride up the hills, maybe it is the very large wheels that makes this the case. And the original stickers and decal on the front. The 28″ wheels seem huge, but I like the oldfashioned look they give the bike and they must be partly responsible for the ease of riding it. The big drawback with it is the brakes, they are not really effective enough. 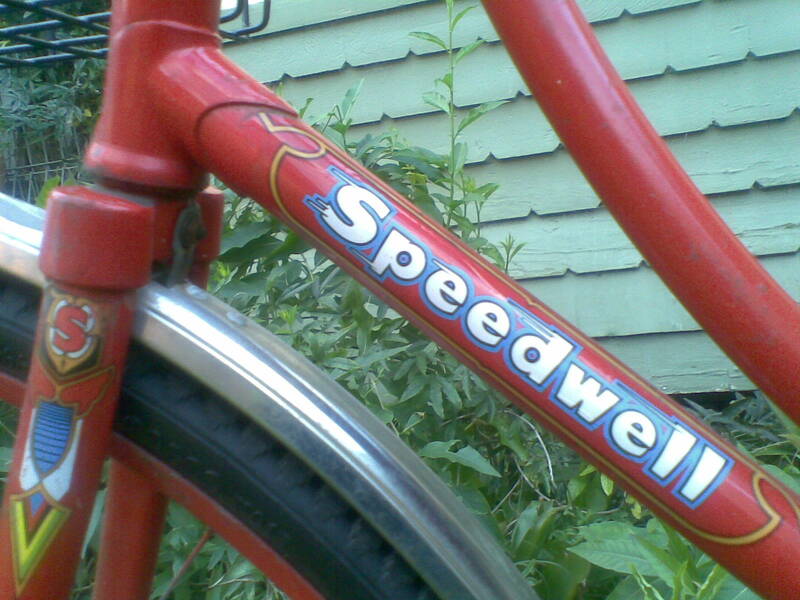 The back pedal brake just would not stop the bike quickly enough if I were going fast, but I am a slow rider. I would have to get another brake fitted to the front to make it safe enough to ride in traffic. 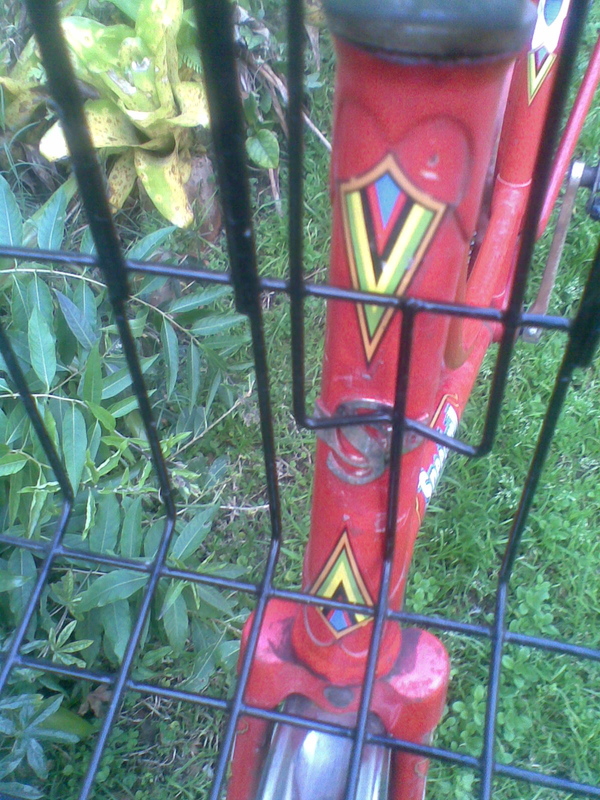 But I do love this bike, and getting it restored is nearly as exciting as it was getting it for my tenth birthday! Wow, what a story of survival! Don’t ever sell it (unless it’s to me). 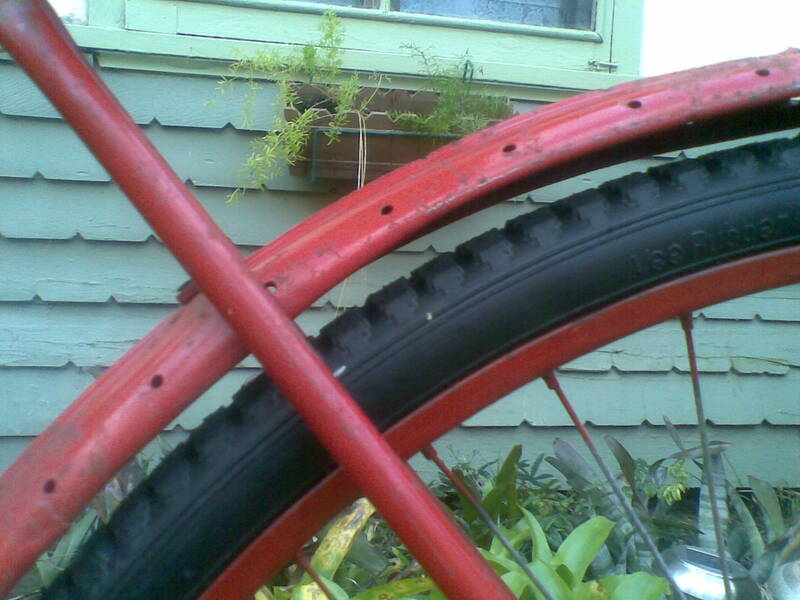 You know, I think this bike would benefit from some new tires. I’m sure you can buy 28″ online, as they still use this size for Pashley roadsters and the likes. Then a new chain and something done about braking. But truly, well done. Kudos to you. I am so excited about getting this bike back on the road Steven, I am going to get new brakes for it. I would prefer to have the rear brake fixed but if that is not possible I’ll get a hand brake for the front. I enquired about better tyres, I wanted white wall but was told they were very hard to get. The rims are quite narrow too so I’m not sure if the modern ones would fit.